Enjoy basic country style group accommodation in Bainsvlei / Langenhoven Park, 5-10 minutes drive to Bloemfontein City Centre. 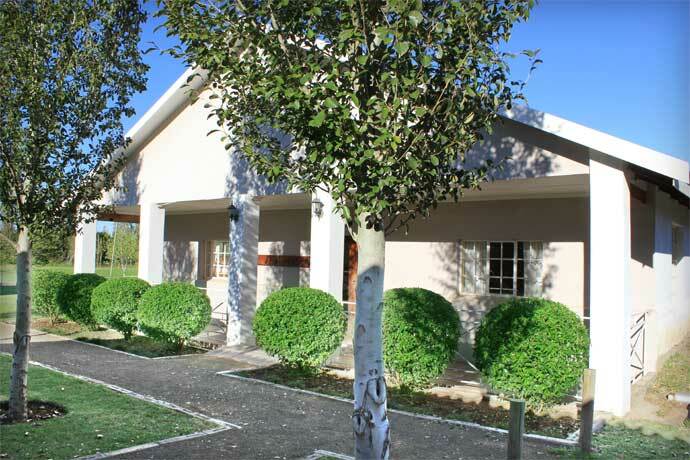 Spacious, private, quiet and restful accommodation with large tree filled gardens. 20 Guests in 4 x Units each with own Bathroom, Single Beds & Bunk Beds. TV, Tea & Coffee facilities in all the units. Self Catering in 2 x Units. This accommodation is very basic and ideal for Guests who do not want to spend too much money on accommodation and only need a bed to sleep in. Ideal for a Group of friends, School Groups, Church Groups, Construction Crews or Staff, etc. 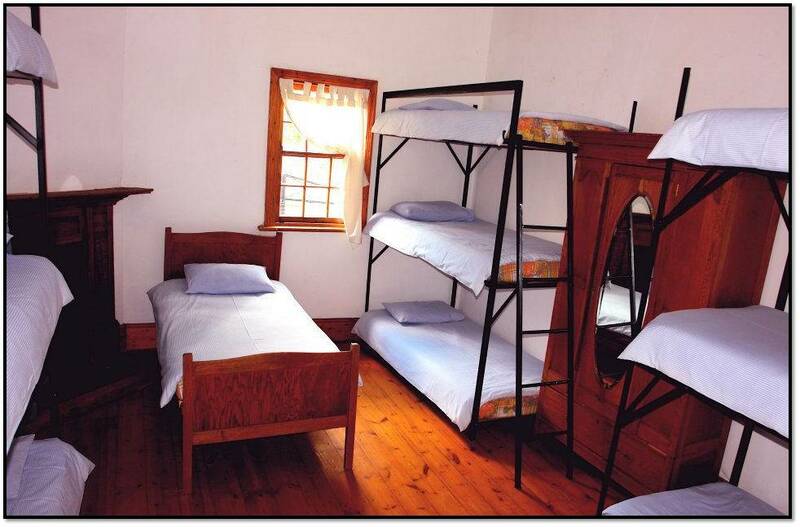 Very basic group accommodation in Navalsig, 5 minutes drive to Bloemfontein City Centre. Ideal for School, Church and large Sport Groups. 60 Guests in 17 Rooms. Some rooms have own bathrooms, other share a bathroom. Single Beds, Bunk beds and Triple Bunk beds. Communal Kitchen, Dinning Hall and TV Room available. Enjoy standard country style group accommodation in Vaalbank, Bloemfontien, 15-20 minutes drive to Bloemfontein City Centre. Spacious, private, quiet and restful accommodation with large tree filled gardens. 100 Guests in 16 x Dorms with 2 communal Bathrooms, Single Beds & Bunk Beds. 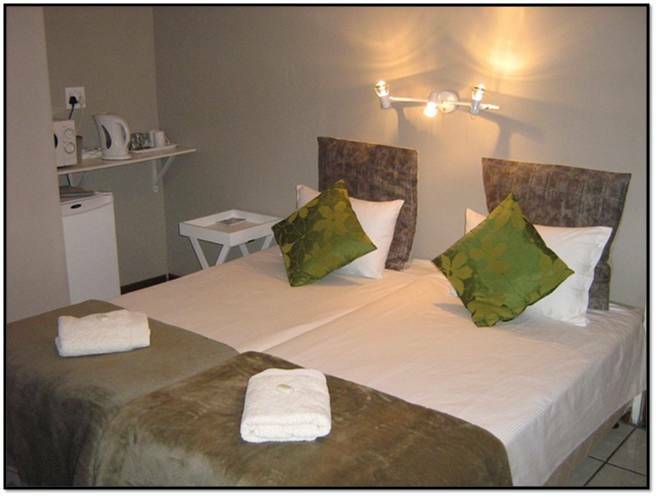 En-suite rooms also available at R300pp. This accommodation is neat, clean and ideal for Families, Groups wanting an affordable stay or Guests wanting Long term accommodation. Enjoy basic accommodation a few kilometers from Free State University, CUT, Waterfront Mall and the N1. 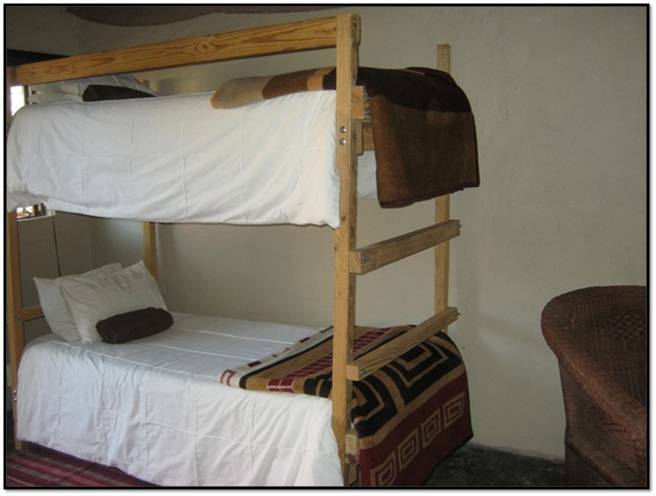 Double, Single Beds & Bunk Beds. TV, Tea & Coffee facilities in all the units. More basic options available for contractors. Enjoy standard accommodation in Kwaggafontein, 5-10 minutes drive to Bloemfontein City Centre. Ideal for Large Groups. 40 Guests in 11 x Rooms each with own Bathroom, Single Beds & Bunk Beds. This Accommodation is of a good standard with a few extra's like bed side tables, reading lamps, bathrooms en-suite, etc. Ideal for Families and Guests wanting a better standard. 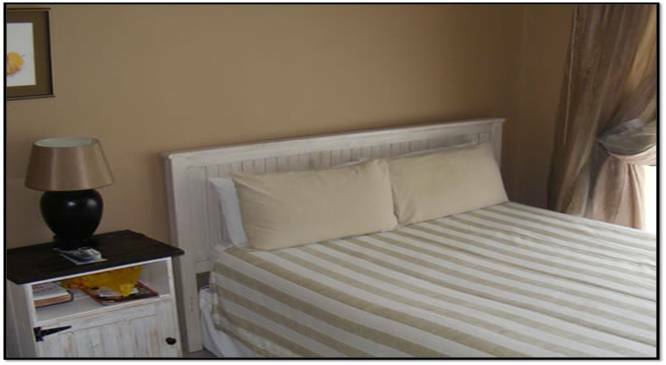 This accommodation is centrally located in Universitas and close to the University, Malls and some Schools. Ideal for families, businessmen and long stays. 21 Guests in 6 x Rooms each with own Bathroom, Double beds or Single Beds. Satellite TV and basic Self Catering in all the units. This accommodation is Located in Universitas and close to the University, Malls and some Schools. Ideal for families, businessmen and long stays. 36 Guests in 18 x Rooms each with own Bathroom, Double beds or Single Beds. Satellite TV and Tea & Coffee in all the units. Self Catering is also available. 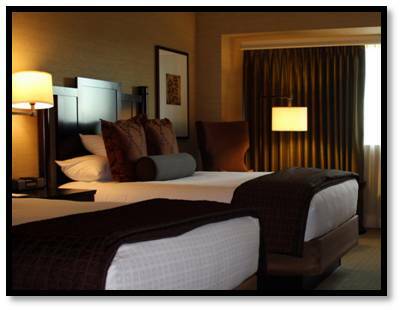 We are able to assist small groups, medium groups, and large groups of 3,000 or more per night. Accommodation for Groups can be booked at varying levels of luxury from non-graded, 1 star (basic), 2 star (standard), 3 star (semi-luxury), 4 star (luxury) and 5 star (exclusive luxury). Various Accommodation Types are also available like Backpackers, Hostels, Guest Houses, Bed & Breakfasts / B&B's, Safari Game Lodges, Hotels, Guest Farms, Self Catering Accommodation, Camp Grounds or Student Accommodation.